Complete your fashionable look with these jeans from Kraus. They highlights a trendy distressed pattern at the front and have button closure due to which it is convenient to wear. They comes with a beautiful effect for an eye catchy appeal. 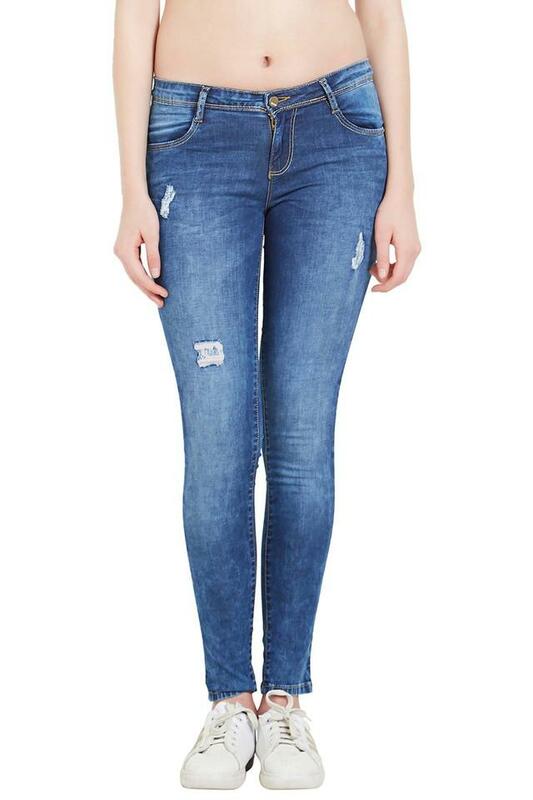 Get a new look with these jeans and add in your casual wardrobe. Wear them a charming t-shirt or shirt for an uber-trendy look.